A recent study published in Traffic journal contributes to new understandings of the mechanisms behind bacteria-induced inflammation and septic shock. CEMIR researchers have used molecular biology approaches together with advanced imaging techniques (Fluorescence Recovery After Photobleaching, Total Internal Reflection Fluorescence microscopy and conventional confocal microscopy) to reveal new details on how bacterial products assemble a functional TLR4 – signaling complex on the surface of immune cells. The study also delineates and visualizes the mobility and transport mechanisms of the signaling complex to compartments inside immune cells where production of signaling molecules occurs. When bacteria infect the host an explosive immune response is initiated. Normally, this response is local and short-lived and results in elimination of the pathogen and healing of the injury. In other cases, the bacteria may enter the blood stream and cause a life-threatening situation called septic shock. Our immune system uses Toll-like receptors to detect and eliminate microbes. One of these receptors is TLR4 that recognizes Gram-negative bacteria. TLR4 is found in an immune cell called macrophage. It is still not known in detail how TLR4 mounts an effective immune response against bacteria. CEMIR researchers have previously shown that the localization of TLR4 in cells plays an essential role for the type of immune response that is initiated in the macrophage. The study also delineates and visualizes the mobility and transport mechanisms of the signaling complex to compartments inside immune cells where production of signaling molecules occurs. 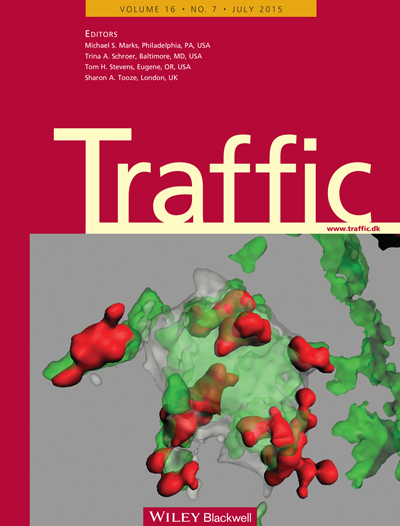 The recent data published in Traffic journal provide us with new fundamental understanding of the mechanisms behind bacteria-induced inflammation downstream of TLR4 and may point to new drug targets for more effective treatment of Gram-negative sepsis.